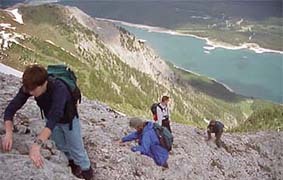 The Department of Geography, Environment, and Sustainability offers a program which has three principal objectives: to promote the understanding of the locational dimensions of human behavior in their environmental context; to offer a curriculum in which geographic concepts and methods are applied to understanding economic, environmental and social problems at the urban and regional scale; and to promote international understanding through area studies. Graduating majors of the department have found careers in business and industry, in urban and regional planning agencies, in departments of federal and state governments, and in teaching. Many graduates find that an undergraduate degree in geography is an excellent foundation for advanced graduate work or professional training in planning, business or law. Special facilities of the department include fully equipped laboratories in computer cartography, geographic information systems and remote sensing with a variety of other specialized locational analysis programs for both instruction and research.